For more information on the show and those involved, please click here. Steeple Aston Football Club Committee are organising a Race Night. It will take place in the Sport & Recreation Centre on Fir Lane at 7.30pm on Saturday, 13th April. There will be a cash bar. More to follow. To honour a village legend, Tony Cross, there will be a charity football match played in his memory on Sunday, 12th May at Robinsons Close in Steeple Aston. All funds and donations will go to Katharine House Hospice, the charity Tony raised valuable funds for over the years with the village. Steeple Wolves v SAFC Select XI will kick off at 3.00pm. The SRC will be open for drinks. So if you’re free on the 12th May it would be great to see as many people as possible. Come down to watch, reminisce and donate if you’re able. The Annual General Meeting of the Steeple Aston Management Committee will take place on Monday, 13th May at 8.00pm in the Village Hall Committee Room. The AGM lasts approximately 30 minutes and is followed by the monthly Village Hall Committee meeting. Members of the public are very welcome to attend the meeting if anyone feels they would like to join the committee we would love to see them. If interested, telephone Barbara 01869 340423 for further details. There will be a Big Plant Sale at Paines Hill House, Steeple Aston on Saturday, 18th May from 10.00am until 1.00pm. The sale will be in aid of Médicins Sans Frontières and the Church. There will be perennials, annuals and vegetables for sale. Email may.woods17@gmail.com nearer the time for a list. Patience is a Gilbert & Sullivan’s lively operetta that playfully pits the strict morals of the Victorian era against the passionate indulgences of the 1870s Aesthetic Movement. It’s a high-spirited tale full of the misplaced desires of rakish poets, swooning maidens and burly military men! Also, limited early bird tickets from Barbara 01869 340423 @ £15pp until April. 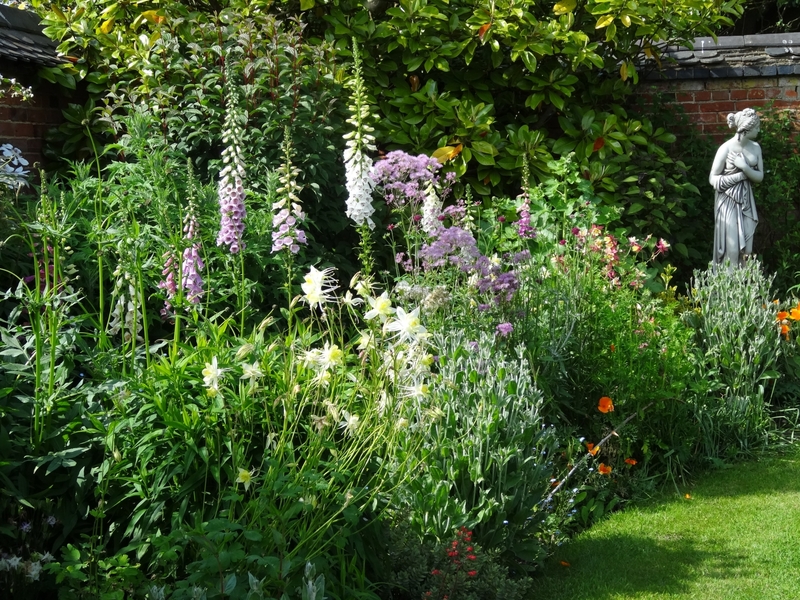 Six local gardens will be open for charity under the National Garden Scheme on Sunday, 19th May between 2.00 and 6.00pm. Admission for adults will be £6, children are free. For more details, and photos of the gardens, please click here. Teas and homemade cakes will be served in the Village Hall. The Village Hall Committee are once again organizing these refreshments for the Open Gardens. If anyone would like to supply a cake, or help serve teas in the afternoon (for approximately one hour, at a time to suit you), please contact Barbara on 01869 340423. The money raised goes towards the Macmillan Nurses and other cancer charities. Steeple Aston Choral Society will be holding its Summer Party Concert – Brush Up Your Shakespeare – on Sunday, 9 June at 6.30 for 7.00pm in the Village Hall. This will be a light-hearted evening featuring music inspired by the Bard – from Vaughan Williams, through film music, to Cole Porter (Kiss Me Kate) and Gershwin. Tickets are £10 in advance (£12 on the door) and will be available in April from choir members, Margaret Bulleyment (01869 347346) and the Village Post Office. Your ticket includes refreshments (including strawberries and wine) and it will be table seating (tables seat 8) – available from 6.30pm. So gather your friends and join them. The Show will be held on Saturday, 7th September from 2.00 to 4.30pm in Deddington Parish Church. There will be Cookery, Flowers, Vegetables, Fruit, Art, Crafts, Photography and Children’s Classes. Show Programmes are available from: The Library, the Parish Church Porch, Hempton Church, The Flower Shop and on www.deddington.org.uk, or phone 01869 338082. Teas are served all afternoon. There will be a raffle, along with cake, bottle, produce and Katharine House stalls. This will be an evening of keyboard music (from Bach to Lloyd Webber) played by Paul Herrington, accompanist and arranger for SACS; volunteer pianist for the National Trust and Oxfordshire representative for London College of Music exams. Bring friends and listen to music as played by Paul on Agatha Christie’s piano and the piano at Coleton Fishacre (formerly owned by the D’Oyly Carte family.) Both homes in Devon belong to the National Trust. Your ticket includes refreshments (wine and nibbles) and it will be table seating (tables seat 8) – available from 7.00pm.